Patients shouldn’t be penalized by their biology if they need a drug that isn’t on formulary. Patients shouldn’t face exorbitant out of pocket costs, and pay money where the primary purpose is to help subsidize rebates paid to a long list of supply chain intermediaries, or is used to buy down the premium costs for everyone else. After all, what’s the point of a big co-pay on a costly cancer drug? Is a patient really in a position to make an economically-based decision? Is the co-pay going to discourage overutilization? Is someone in this situation voluntary seeking chemo? Of course not. Yet the big co-pay or rebate on the costly drug can help offset insurers’ payments to the pharmacy, and reduce average insurance premiums. But sick people aren’t supposed to be subsidizing the healthy. Wow. This may seem like common sense to some readers, but it is revolutionary to hear from a senior American government official, and indeed a Republican one no less. According to very basic contract law, when the agreement between a buyer and seller does not specify the prices to be charged (aka an “open price contract”), the seller may not demand more than a “reasonable” amount. Years ago, I was involved in nationwide litigation against non-profit hospitals, raising this theory and alleging that their billing practices contradicted their state and federal “charitable” tax exemptions, since they were driving poor people into bankruptcy and foreclosure. That litigation had a few notable wins, when several hospital systems agreed to adopt explicit charity care policies and stop some of the more egregious practices, such as putting liens on their patients’ houses. Some of these reforms became an industry standard and then part of the Affordable Care Act. Over at HuffPo, Craig Konnoth has a short-but-smart piece exploring the Constitutionality of the logrolling deals now underway to persuade Alaska Senator Lisa Murkoswki to support the latest effort to repeal Obamacare. Would other states have a right to object to a deal that showered special benefits on Alaska? Konnoth explains how an “equal sovereignty” principle has emerged in recent Supreme Court decisions, and suggests that it may provide some grounds for challenging this sort of special treatment. I am left wondering about the longstanding practices of states requesting and receiving waivers from the Federal government. For example, Maryland has for decades enjoyed a Medicare waiver, which allows it to regulate prices. Massachusetts has a $52B waiver to put its Medicaid members in accountable care organizations. Do these violate equal sovereignty too? Maybe the answer is that all states are treated equally in their right to apply for such waivers, under several explicit statutory vehicles, which have yielded several hundred such applications. These are not simply bribes to secure votes in Congress. On the other hand, some of these waivers were very much the result of politically-charged negotiations between conservative governors (such as Indiana’s Mike Pence) and the Obama administration, who granted these waivers as a way to expand insurance coverage. Maybe that’s not so different than what Murkowski is demanding? On related questions, also check out Brian Galle’s piece over at Medium.com. The Federal government has wrested billions of dollars from the drug and device industry in settlements of claims that the companies broke the law by promoting their products “off-label” for uses not approved by the FDA. In response, companies have asserted that promotions are a form of speech, protected by the First Amendment. Speech regulations are especially worrisome when motivated by paternalism. This argument has received some traction in the courts, and is now getting a favorable look by the Trump administration. I have argued (here, here, and here) that this law is not actually a speech regulation. Nor is it paternalistic. Instead, it is simply a vanilla regulation of a behavior (shipment of product in interstate commerce), which depends on various sources of evidence (including speech) as revealing whether the actor has an illicit intent (an unapproved use of the product). The pre-market approval system, which requires that companies prove safety and efficacy for all intended uses, solves a collective action problem to produce information as a public good. This is our key social mechanism for producing knowledge about safety and efficacy. If this law is unconstitutional in the off-label context, the entire pre-market approval system would seem to be as well. 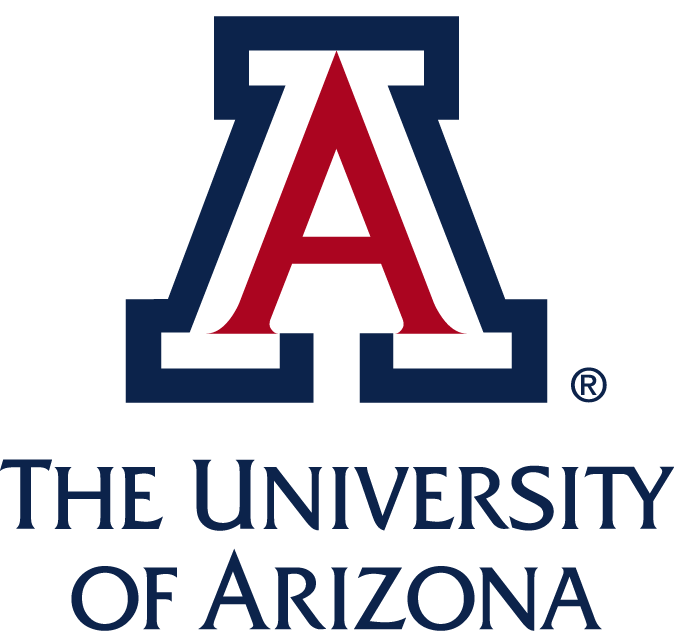 The University of Arizona seeks to hire an early-career scholar (post-doctoral) to support its innovative Regulatory Science Program, a collaboration between the James E. Rogers College of Law and University of Arizona Health Sciences. This idea of regulatory science is to “modernize our evaluation and approval processes to ensure that innovative products reach the patients who need them, when they need them.” This mission includes both the regulation of the scientific process, especially the protection of human subjects and privacy, and the production of science to answer regulatory questions about safety and efficacy, for all FDA-regulated products, including drugs, biologics, devices, and diagnostics. The Fellow and Visiting Assistant Professor (VAP) position is a two-year academic commitment. Initially, the VAP will focus on independent and collaborative research, while also teaching in the Regulatory Science Colloquium. The Fellow/VAP will also teach one or more core classes at the law school. In both years, the Fellow/VAP will be part of the academic community of the College, with scholarly mentoring, opportunities to workshop drafts in progress, and a budget for research assistance and professional development. Is it legal for Trump to punish health insurers that do not support repeal of Obamacare? Scholars and policymakers have long been concerned that the biomedical science literature — and thus the practice of medicine — is biased by the companies who fund research on their own products. Prior research has shown that industry-funded studies tend to produce results favorable to their company sponsors. One solution is disclosure of industry funding, so that physicians and other consumers of the biomedical literature can weigh scientific findings accordingly. My prior work with Aaron Kesselheim, Susannah Rose, and others has found that adding such disclosures to biomedical abstracts could make a big difference — physicians understand them and will rely upon them. Nonetheless, most journals bury the disclosures at the end of articles, which are often hidden behind paywalls and not nearly as salient as the methods and findings displayed in the abstract. For the Institutional Corruption Lab of the Edmond J. Safra Center, I worked with a team of hackers to create a browser extension that proves the feasibility of adding those disclosures into PubMed, a Federal government database of the scientific literature. Thankfully, that browser extension is becoming obsolete, as the National Library of Medicine (part of the NIH) has begun implementing such disclosures themselves, right in PubMed. A search reveals that nearly 80,000 abstracts now have such tags. While a lot in absolute terms, it is a small minority of the 17 million abstracts covered by PubMed. Commentators have suggested that as much as 70% of the funding for clinical trials comes from industry, so we should expect millions of abstracts to have such disclosures.